The situation between Paulo Dybala and Juventus has gotten quite complicated, this makes us think that the best for him is to leave the club next summer. Players like Paulo Dybala don’t really appear in football that often, Juventus really hit the jackpot with this Argentine midfielder but it appears that the relationship between him and the club has already taken a step in the wrong direction. During the last Juventus match against Sassuolo, Cristiano Ronaldo’s goal celebration after he scored was dedicated to Paulo Dybala due to the difficult moment he is going through at the moment. The tipping point for the player came during the match against Parma in which Juventus let escape a clear victory in the last minute, the Argentine player didn’t like it when manager Massimiliano Allegri decided to use midfielder Emre Can instead of him for the match and he left to the dressing rooms as a clear sign of protest. This was regarded as a very disrespectful gesture from Dybala to all his teammates and the player had to apologize on the next day, Paulo only has 2 goals this season but he also has six assists in all competitions. This low-level of performance has been directly linked to the bad relationship that the player has with his manager, as Max Allegri has repeatedly ousted the player in public with the media as a way to possibly get him to react in a more positive manner. 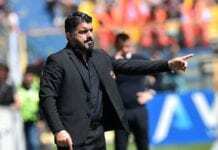 But Paulo Dybala’s reactions have gone from bad to worse, the midfielder played only seven minutes in the last match between Juventus and Sassuolo and the came in when the match was practically decided after Cristiano Ronaldo scored his side’s second goal. The Portuguese player made a combination of Paulo Dybala’s “Gladiator” celebration with his own, Ronaldo did that because he knows that the player is not going through the best moment of his career and he already believes that Paulo might be considering a change of scenery for next season. There are several clubs that are really interested in signing the player, he will most likely leave if things don’t improve between him and the manager because it is obvious that Allegri won’t leave the institution anytime soon. This leaves a whole range of opportunities for the Argentine player to leave next season, the options are many and the clubs that are interested in signing the player are amongst the best in the world right now. Paulo Dybala has reached a point in his career where he has to make a decision, this might be the biggest choice he will ever have to make. Juventus legend Andrea Pirlo reckons Paulo Dybala has suffered a "psychological" problem since Cristiano Ronaldo set foot in Turin. Amongst the interested clubs is Real Madrid, Diario AS reports that president Florentino Perez would be keen on bringing the Argentine player to the squad and refresh the team a little bit with some young talent given that several midfielders in the club are past the age of 30 and considered veterans. Los Blancos would be willing to bid strongly for the player next summer, they would be willing to offer €120 million and nothing more than that. The problem here is that Juventus considers Dybala a very important player for the squad but they think he is currently not going through a good moment, they hope he can improve throughout the season and they don’t want to sell him anytime soon. This would be a decision that the player is going to have to make on his own, he will have to speak in public about his desire to leave and he may do it as soon as he gets a more concrete offer from any club that is interested in him. Another destination for Paulo could be Diego Simeone’s Atletico Madrid, Ole Gunnar Solskjaer’s Manchester United, or even Lionel Messi’s FC Barcelona. Which club would you like better for Paulo Dybala to continue his career as a professional? Please share your opinion in the comment section down below. 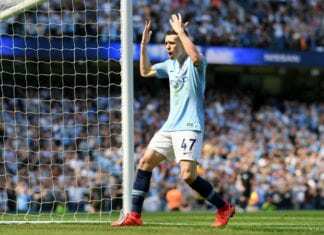 Pep Guardiola hailed teenage star Phil Foden following his match-winner in Manchester City's crucial 1-0 win over Tottenham in the Premier League.